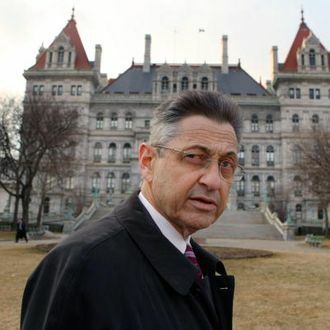 The calls are growing for New York State Assembly Speaker Sheldon Silver to step down after a report last week found he mishandled sexual harassment allegations against former Assemblyman Vito Lopez, who resigned Monday. And Silver has heard them, but he’s not interested in complying. After all, most of the people crying for Silver’s ouster are Republicans, from state GOP leader Ed Cox to the representatives from Staten Island to a group of GOP women in the Assembly. And while one Democrat, Michael Kearns, of Buffalo, has quit the Democratic conference in disgust over Sheldon’s handling of the Lopez matter, Gov. Andrew Cuomo still supports him, as do myriad Democrats in Albany. But Silver can’t just carry on as if nothing happened, either. So on Monday he apologized for the Lopez mess, and offered a set of new policies for handling sexual harassment cases. The speaker went on to outline some new rules for handling sexual harassment complaints from legislators and staffers: An independent investigator, neither appointed by nor serving at the will of the speaker, will handle all future sexual harassment complaints. And supervisors who receive reports of sexual assault will be required to alert the independent investigator. Silver also promised to introduce legislation that would ban confidential settlements in both houses of the legislature and the Executive branch. But while he acknowledged there were serious problems with the way he handled Lopez’s sexual harassment case, the ultimate Albany power player said very clearly that “I did not give any thought to resigning.” And the loss of one Democrat amid a phalanx of still-staunch supporters won’t change his mind.